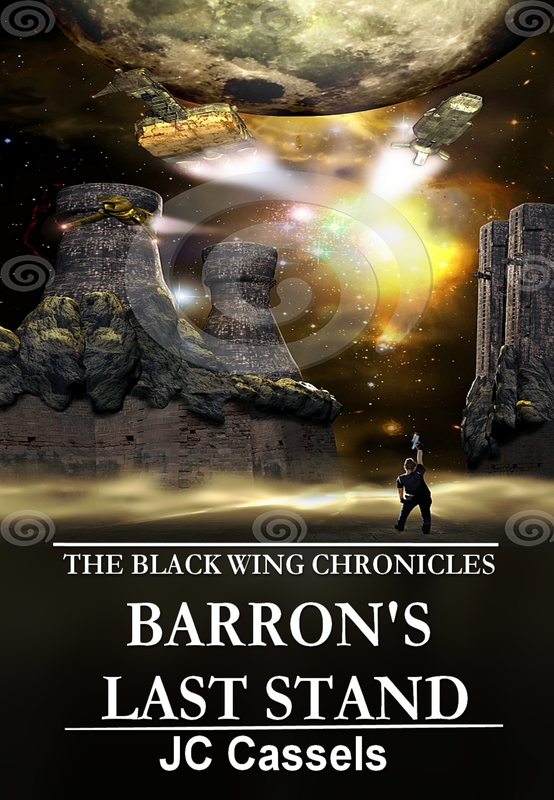 …finds me hard at work on the third installment of THE BLACK WING CHRONICLES – BARRON’S LAST STAND. Still no release date set, but I’ve started thinking about cover art. 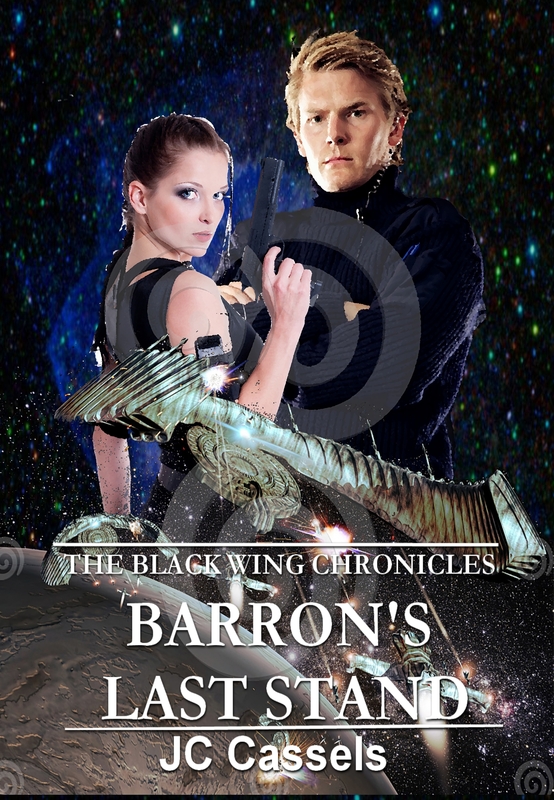 Here are a few mockups, complete with the swirly watermark which won’t be in the final cover. 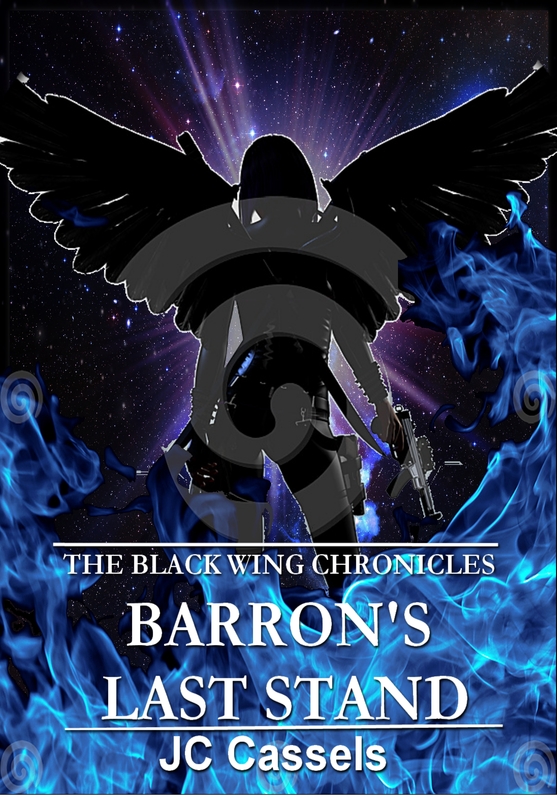 I’m not yet ready to sit down with Tomomi Ink (a.k.a TK Toppin) and hash out a final cover, but this gives me an idea of the direction I may want to go with it. If anyone has any preferences please say so in the comments. 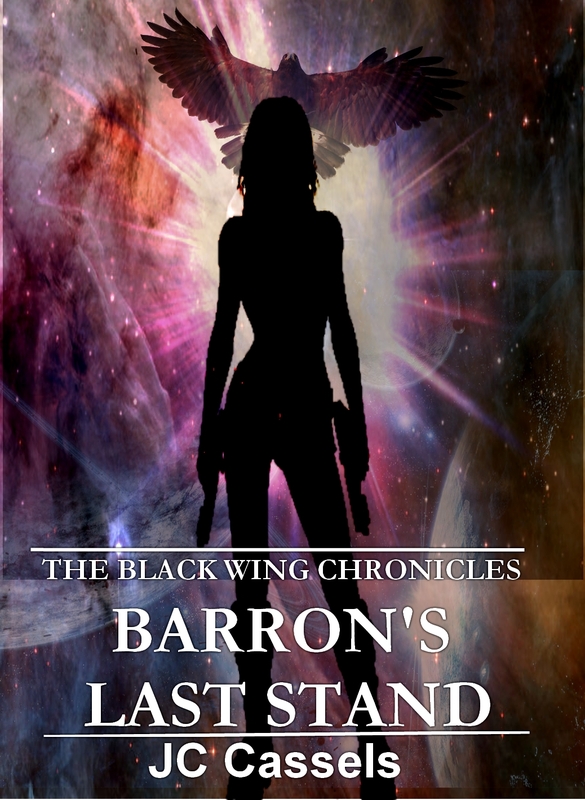 Also working on a joint project with another author specializing in a completely different genre. This project would be a complete departure from my comfort zone and will be published under a pseudonym. 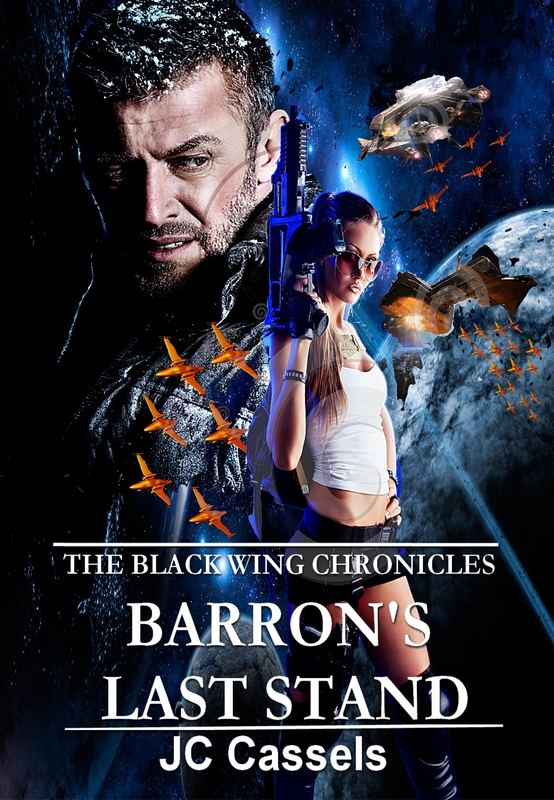 On a more familiar front, I’m also working on a Space Opera/SF Romance from my archives that has popped up on my blog before: THE LOST DOMINA. 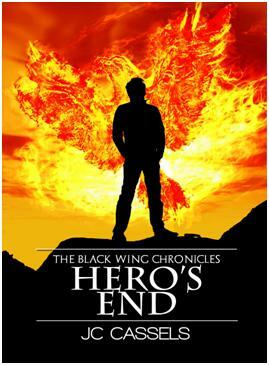 And lastly, I’m preparing to offer HERO’S END as a paperback once again. Stay tuned for more on that front as it develops. Woo hooo. I really like the first one. REALLY LIKE it…. That’s one of my favorites, too. And that’s the other one! LOL! I’m so torn! That’s what I was afraid of. 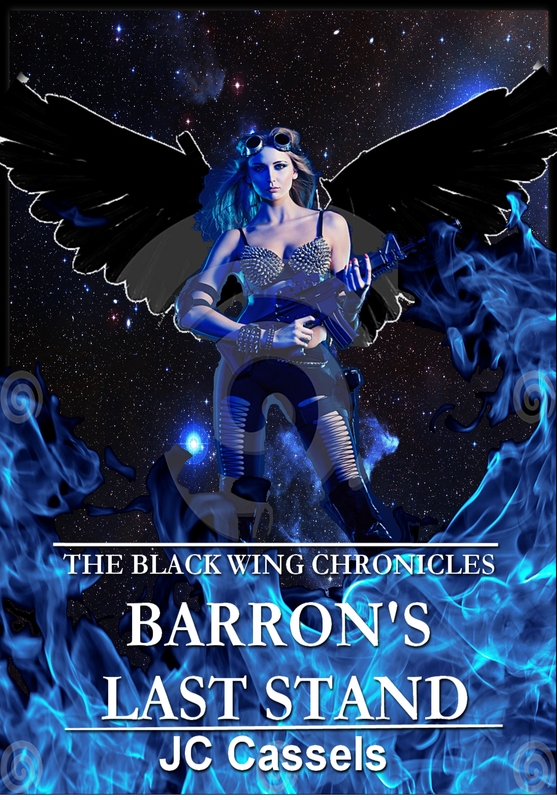 I’d hate for someone to get all excited about a PNR and end up with space opera. Sorry, I mean three and five, with five being too UF/PNR. My ‘puter skipped past the top two.